Fnaf 4 - Steam thumbnail. . Wallpaper and background images in the Five Nights at Freddy's club tagged: photo. This Five Nights at Freddy's photo might contain fleur de lis کے ہوں, fleur ڈی لیس, فلیور ڈی لیِس, and فلیور ڈی لس. some things different about the thank آپ image. Darkinvader please stop spamming this everywhere. It's not and its spam. 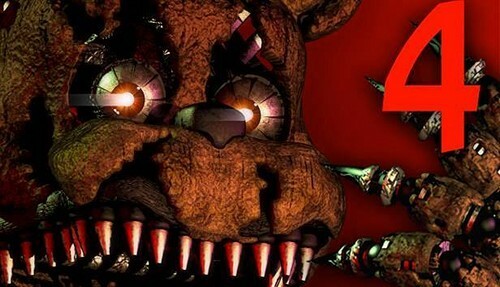 The best horror game ever!Scott Cawthon,you are the best game creator what I seen!